Queensland is the country’s second biggest state by land area (after Western Australia) stretching for over 2,500 km from north to south and 2,000 from west to east. We have already talked about Tropical North Queensland in another post, thus in this article we will focus on the main destinations along Queensland’s East Coast, roughly between the cities of Mackay in the centre and Gold Coast in the south. Here’s our Queensland East Coast itinerary guide. We did a two-week-long road trip to cover the 1,100 km separating the forementioned cities. In 15 days you should have enough time to take it easy, stop at some places for two or three nights, without having to drive more than 200 km when travelling to the next destination. If you are coming from abroad to this part of Australia, both Brisbane and Gold Coast airports have international flights daily to fly you straight to Queensland. If you are coming from Tropical North Queensland and you have been reading our article and following our itinerary, you’ll likely be driving through the town of Mackay, some 150km south to the Whitsundays. And if you do stop here overnight, you could head inland and check out Eungella National Park, home to the longest continual stretch of sub-tropical rainforest in Australia, or even spend the night in a camping site there, provided you have your own RV. I promised earlier that you wouldn’t have had to drive crazy amount of kilometres daily, well I wasn’t totally sincere, this is Australia after all! The section between Queensland East Coast top tourist destinations of The Whitsundays and Fraser Island is almost 900km long! Don’t worry, you don’t have to drive that distance in one day, this is exactly what this guide is made for, to suggest places where to stop along the way. It’s a good idea to stop around Rockhampton, 336 km from Mackay. You will have driven for hours along a boring road, also known as the Fatigue Zone, where your best entertainments are warning signs like “Rest or R.I.P.” and “Survive this drive”, so yeah you definitely need a break when finally getting to Rocky. TIP: Head to the Botanic Gardens which include a free entry wildlife area where you can spot typical Australia flora&fauna, like kangaroos, crocodiles, koalas, emus… The visitors info point located at Tropic of Capricorn line is worth a visit for more suggestions. EXTRA TIP: If for some reason you didn’t make it to Whitsundays or you want to have another island experience, The Keppels are your go to destination. Just a short 30-minute ferry ride away, you can choose between Great Keppel and North Keppel, where you can spend a day at the beach, walking around the island, and camping overnight too. Carrying on for 200km southwards, another “Break the drive, stay alive” worthy spot are the coastal towns of 1770 and Agnes Water, often mentioned in pairs for their similarity and proximity. The correct way of writing the former would be Seventeen Seventy, but it is peculiar and funny enough to actually name a place with a number, or a date in this case. The year 1770 was when Captain Cook made landfall for the first time in today’s Queensland, and the bay where he landed was therefore named after the date. Today, Seventeen Seventy has mainly a tourist purpose, with less than 100 residents living all year long, but a few camping and accommodating facilities. Whereas locals instead live in nearby village of Agnes Water, also RV-friendly with numerous secluded bays and beaches. TIP: head to Bustard Bay Lookout for great views on the Coral Sea on one side and the bay on the other, exactly where Captain’s Cook Endeavour ship anchored 240 years ago. SURFING TIP: want to learn how to surf? Agnes Water is the place to do it, with some of the cheapest surfing schools in the country, and the ideal waves for beginners like us! The busy industrial and farming area of Bundaberg will welcome you back to civilization, or have you saying goodbye to tranquility, depending how you see it. You made it through the long Fatigue Zone and are almost in gorgeous Sunshine Coast. Bundy is home to acres of sugar cane fields, leading Australia in sugar export and known countrywide for Bundaberg Rhum. As in the Atherton Tablelands in Tropical North Queensland, several varieties of fruit are grown here and foreign backpackers contribute massively to the industry, working seasonally in between their travels. Not much of a tourist hotspot, however very close to our next stop. 100 km from Bundaberg – yes 100 km is very close in Australia, literally just behind the corner – Hervey Bay is the first hub for tours to Fraser Island, which we will talk about later. Humpback whale watching is very popular here as well, the migration season goes from July to November. On the opposite end Rainbow Beach is the other gateaway to Fraser Island. Similarly to Hervey Bay, it is worth a visit for its own beauty, the name of the town itself includes the word “beach” for a valid reason. We like to mention Tin Can Bay as well, not far to Rainbow Beach, where you have the chance to see river-estuarine dolphins every morning. If this wasn’t enough reasons to visit, gorgeous State Forests and National Parks surround the immediate inland side of these lovely bays, making it worth a drive even if you are not heading to Fraser Island. TIP: Rainbow Beach is popular for bbq’s and picnic right on the beach, gear up and bring supplies to enjoy a full day on this large strand. One of the most famous tourist destinations in Queensland – you probably have already heard of this huge wild island – Fraser Island is the biggest sand island in the world. Rainforests, mangroves, swamps and sand dunes constitute the surface. Despite the absence of roads, driving is actually one of the most exciting experiences to try on Fraser Island, with your own 4WD or joining one of the many daily tours from Hervey Bay or Rainbow Beach. Camping is also an option in order to spend one or more nights in this unique location. Perhaps the only downside is that it has become too mainstream and sometimes overcrowded. See Moreton Island for alternatives. The name couldn’t be more welcoming and appropriate, Sunshine Coast is a true paradise. The town of Noosa Heads is the perfect holiday destination, having something for everybody: accommodation along golden beaches, nightlife, hikes, National Parks, festivals, outdoor activities, etc… To escape the crowds just head south of Noosa to find your own quiet place such as around Mooloolaba and Caloundra towns. TIP: don’t miss Noosa National Park to witness amazing coastal views along the seaside and an incredible wildlife sanctuary inland, ideal for hikes and push bike rides. If you have been travelling on the road all the way from Cairns to Brisbane, getting to Queensland’s capital gives you a true feeling of arrival. A modern vibrant city with great infrastructure, shops, parks, walks, and an overall exciting vibe. It’s easy to spend days in Brissie, visiting some museums, strolling along the river walks and South Bank swimming pools, or just sightseeing popular landmarks like Story Bridge and the City Botanic Gardens, all while still enjoying the warm weather all year long. Moreton Island, at day tripping distance from Brisbane, is your alternative if you skipped or missed Fraser Island. Very similar in morphology, it’s the third sand island in the world per dimensions, and offers pretty much the same outdoor opportunities as Fraser does, surely in a less visited setting. Besides, several wreck ships in the shallow waters make Moreton Island a safe and popular diving spot. TIP: ferries from Brisbane to Moreton Island take 75 minutes one way, departing from Holt Street Wharf in Pinkenba. Once more, the name here is pretty self explanatory. An endless strand is home to hundreds of hotels and skyscrapers in the city of Gold Coast, which is sometimes compared to Miami or Dubai for its imposing skyline against the sea. Come here for nothing but a relaxing hotel+beach stay. Being the last main urbanized area before crossing to New South Wales, Gold Coast is last on the list of our Queensland East Coast itinerary guide. We hope you enjoy your travels, and do let us know your thoughts in the comments! HOTELS – WHERE TO STAY IN QUEENSLAND? You can book all accommodation in Australia with free cancellation here. The town of Rockhampton has plenty of motels to stop for one night on your way. Agnes Water: we stayed at Workman’s Beach Camp Ground, a laid back area by the beach, for just 9$ per person, per day. Rainbow Beach Holiday Park is ideal for campers coming in or out Fraser Island, with both cabins and camp ground facilities. Noosa Sea Scouts is well located if you have an RV, if you prefer a resort check here what’s available in Noosa Heads. We had a fantastic 4-day city stay at brand new Brisbane Skytower Apartments, right in CBD, we got a deal for less than 100AUD(60€)/night. As mentioned before, Gold Coast is a futuristic city on the beachside, browse here the endless offer of accommodation. Tours/Private bus: check CoolDingoTour for Fraser Island, recommended for 18’s to 35’s. 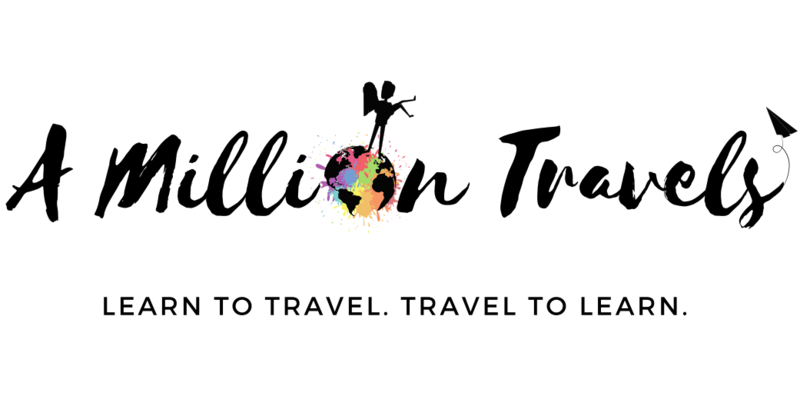 If you need help planning your trip to Australia, have a look at Tropical Turtle Travel, specialized on creating personalized itineraries all around Australia and more, and don’t forget to use our code MILLION-TTT for 50$ off your next trip! Airplane: Brisbane and Gold Coast have both domestic and international destinations daily. Singapore and Bali, Indonesia, are the closest international hubs. WEATHER – WHEN TO GO TO QUEENSLAND? One of the best aspects of southeastern Queensland is the perfect climate: temperatures rarely go lower than 10°C in July or higher than 30-35°C in January. On top of that, the sun is shining for more than 300 days a year, reason why it is referred to as The Sunshine State. Yes you do. Never leave home without a reliable travel insurance. Even if you trust yourself, you can’t always trust others. Better safe than sorry! Get your quote here.